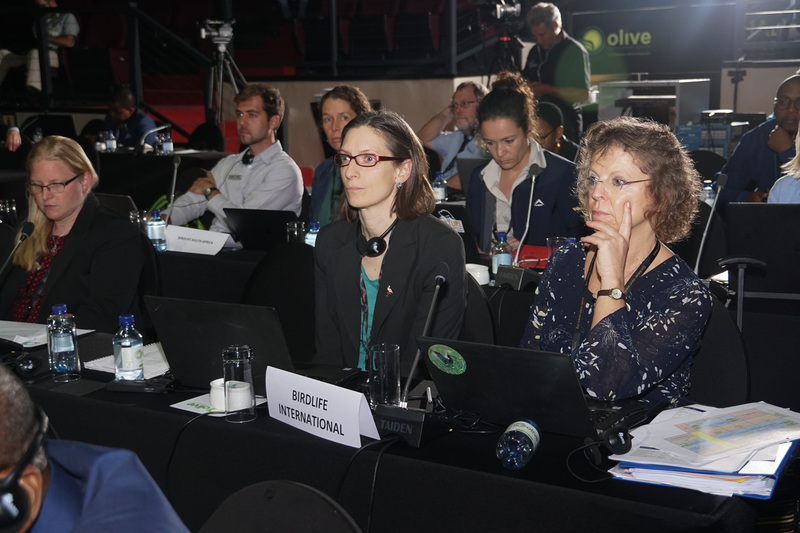 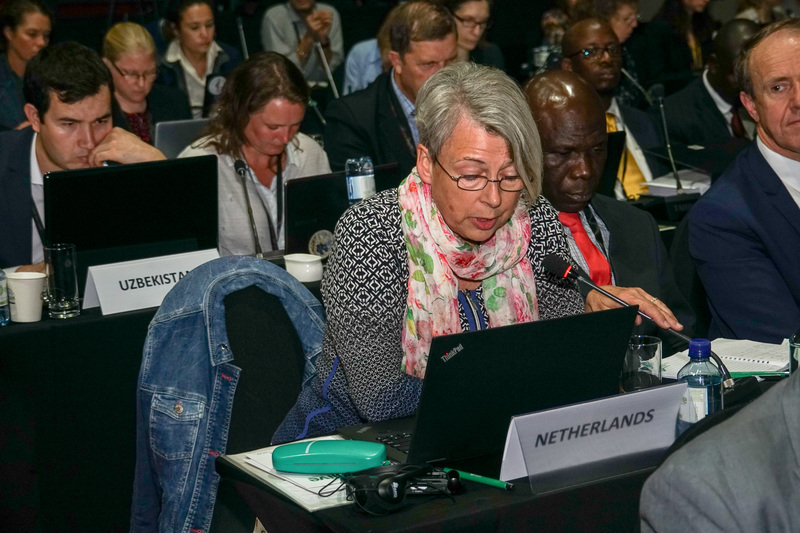 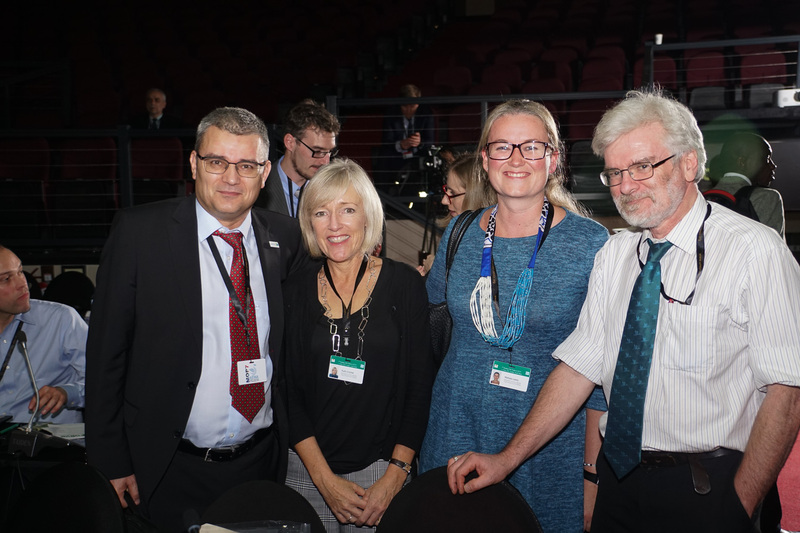 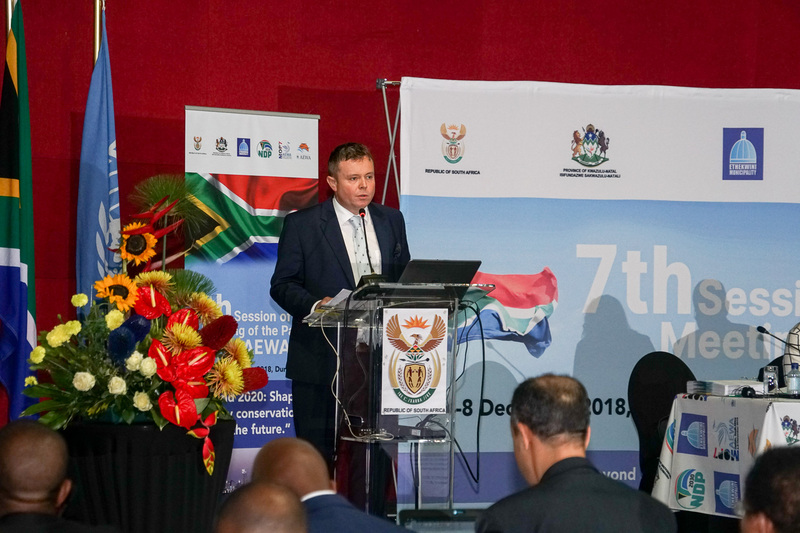 Durban, 5 December 2018 - The seventh Meeting of the Parties (MOP7) to the Agreement on the Conservation of African-Eurasian Migratory Waterbirds (AEWA) opened on Tuesday, 4 December in Durban, Kwa-Zulu Natal, South Africa, under the theme “Beyond 2020: Shaping Flyway Conservation for the Future”. 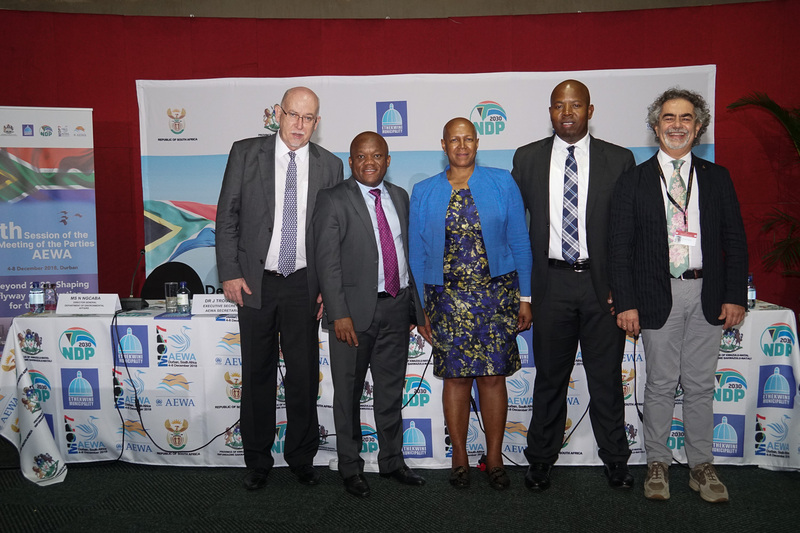 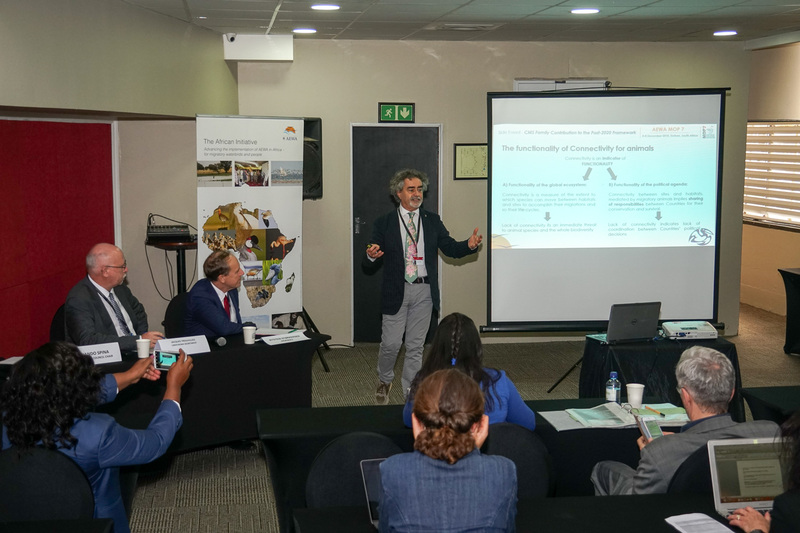 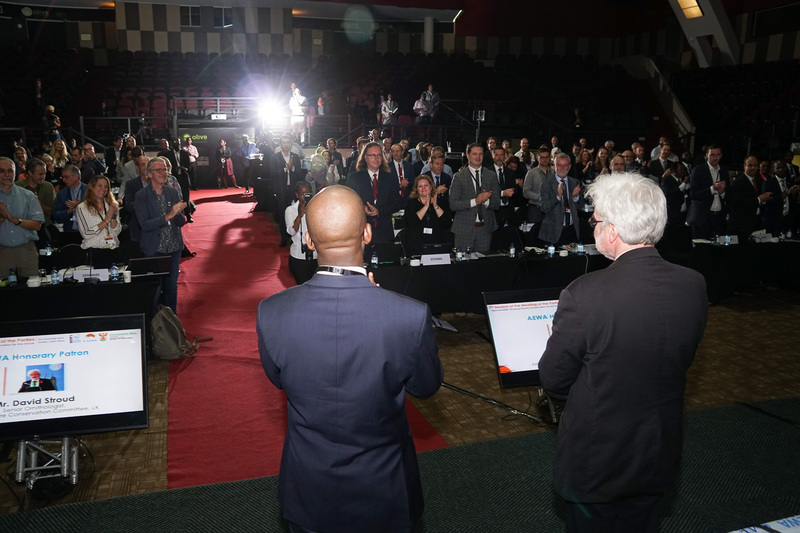 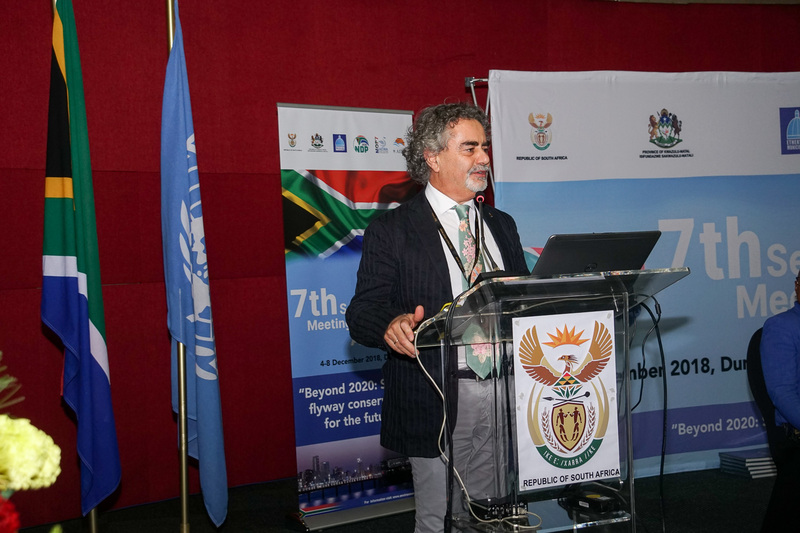 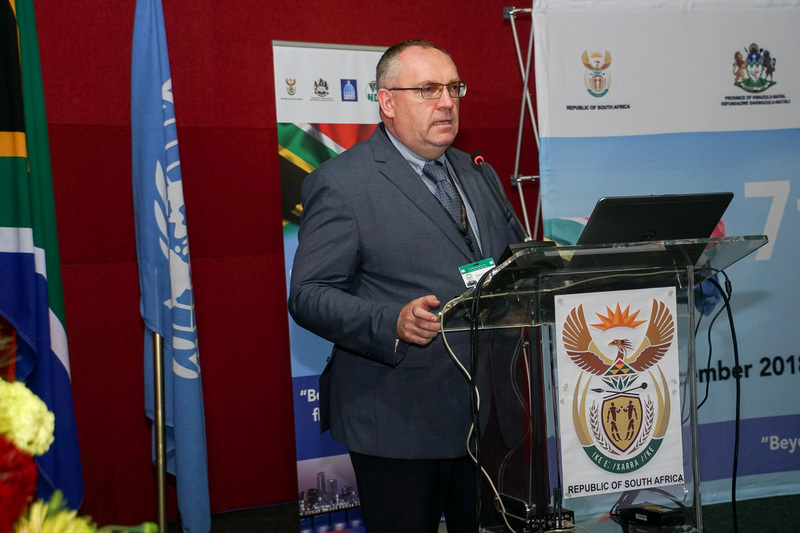 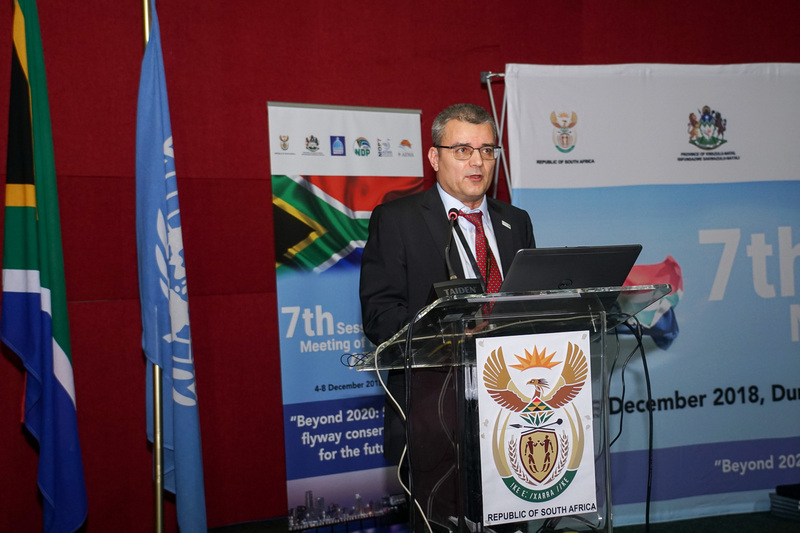 The meeting was officially opened by Fernando Spina as Chair of AEWA MOP6, who thanked the Government of South Africa and the Municipality of Durban for hosting the meeting. 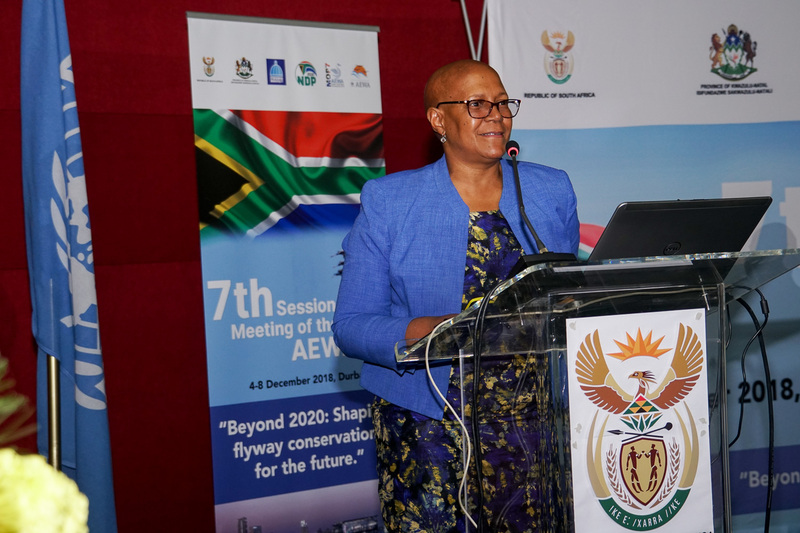 During the opening ceremony, delegates were warmly welcomed by host country representatives: Ms Nosipho Ngcaba, Director General of the Department of Environmental Affairs of South Africa, who recalled that the first AEWA MOP had taken place in Cape Town, and expressed the hope that a clear plan of action would emerge from the present meeting. 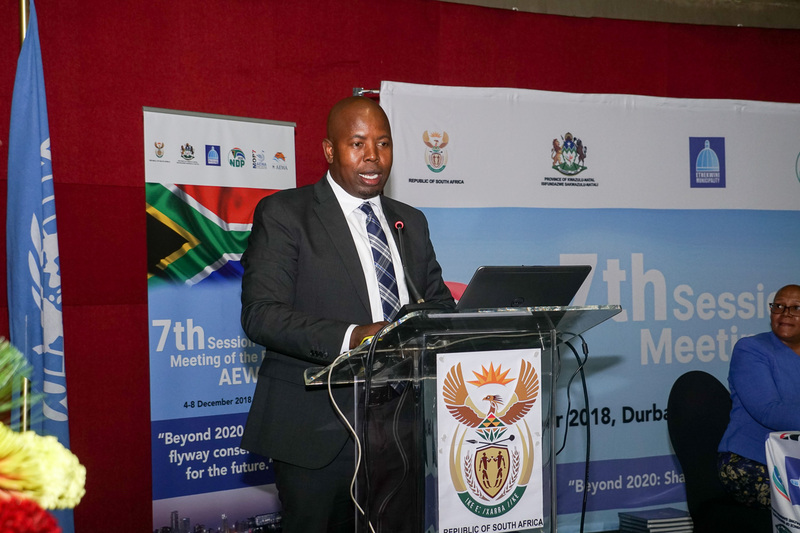 The Deputy Chair of the Office of the Mayor of Ethekwini Municipality, Councillor M. Madlala, speaking on behalf of the Mayor, Councillor Z. Gumede, welcomed all participants to the city of Durban. 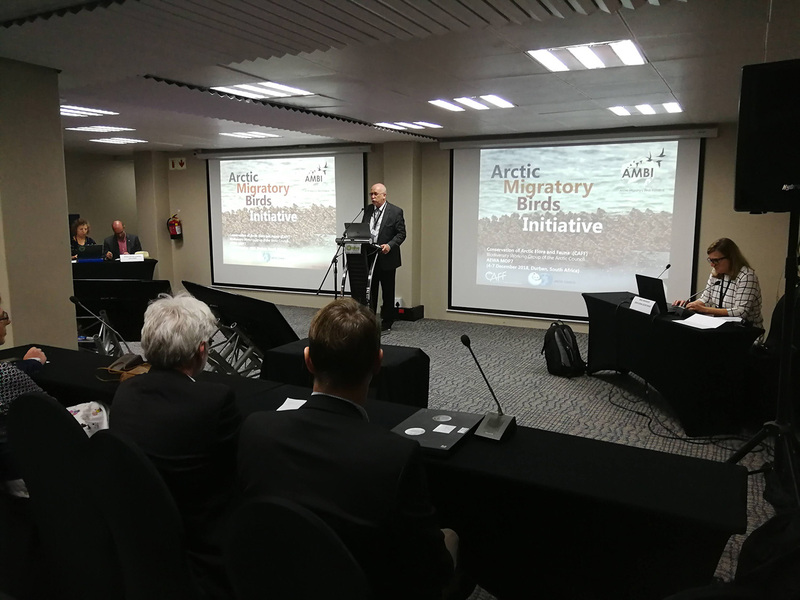 He described AEWA as a collective effort to protect species whose welfare was very closely linked to that of our own species, and said that the decline of waterbird numbers in Durban Bay should be a call to action. 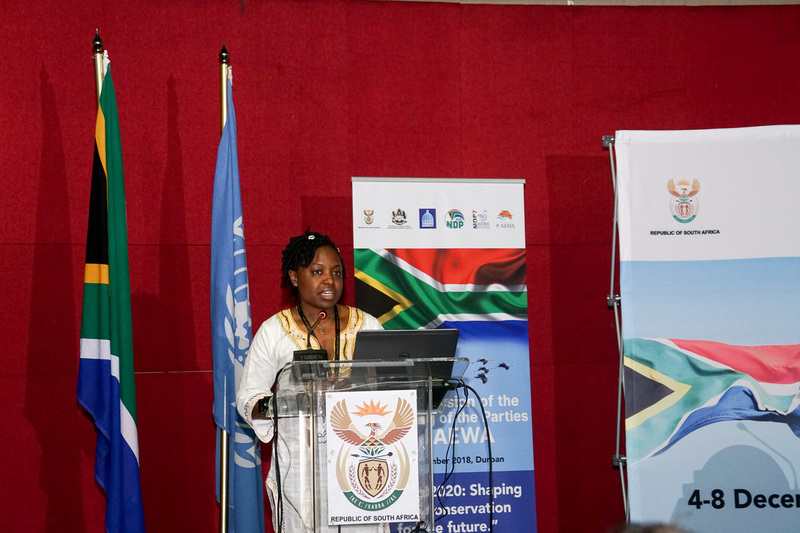 Joyce Msuya, Acting Executive Director of the UN Environment Programme (UNEP), addressed the meeting through a video message, highlighting the role migratory waterbirds play in different cultures and AEWA’s unique role in fostering international cooperation around their conservation. 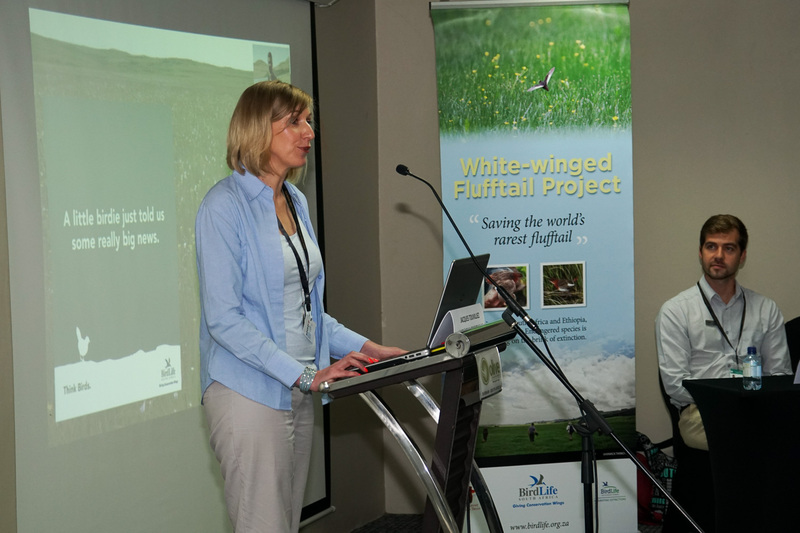 She said climate change was “threatening the future of billions of migratory birds” and noted the Climate Resilient Flyways Project, a IKI Funded Project (IKI - Internationale Klimaschutzinitiative) which aims to help waterbird populations and the local communities living in and around wetlands, to build resilience to climate change. 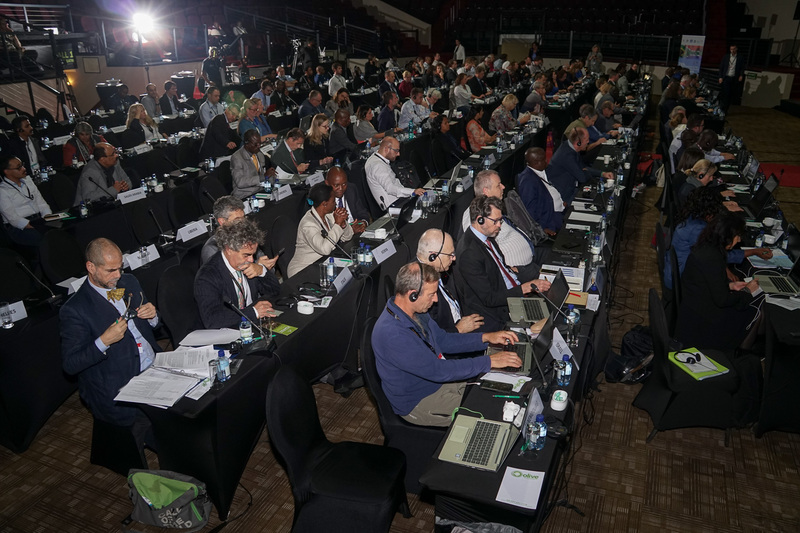 A statement by Bradnee Chambers, CMS Executive Secretary was read out in plenary on his behalf by Fernando Spina, Chair of the CMS Scientific Council and Chair of AEWA MOP6. 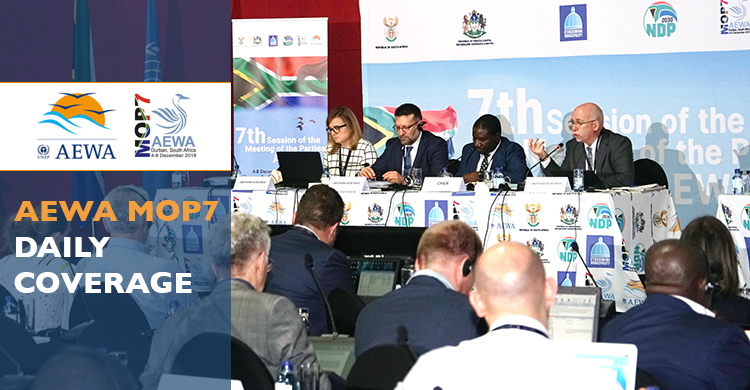 He highlighted AEWA’s important role as the largest daughter Agreement of CMS and expressed his deep gratitude towards the delegates from governments and experts and stakeholders from various fields for their contribution to the success of AEWA, highlighting that it is their "dedication and tireless efforts [which] vitalize AEWA initiatives and make them become efficient tools for achieving conservation and sustainable management of waterbirds along the flyway." 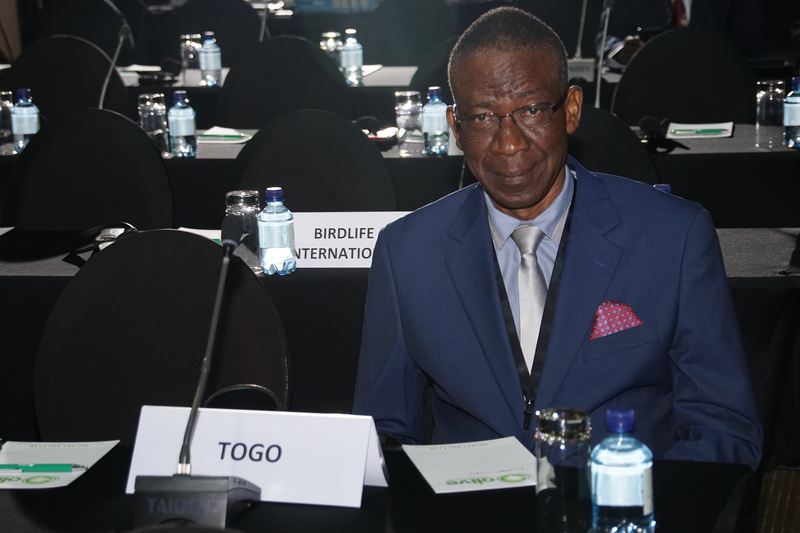 It is this dedication which we need to contribute our part, as CMS Family, to the global agenda on biodiversity conservation and the role of migratory species for its promotion on the political agenda for the environment. 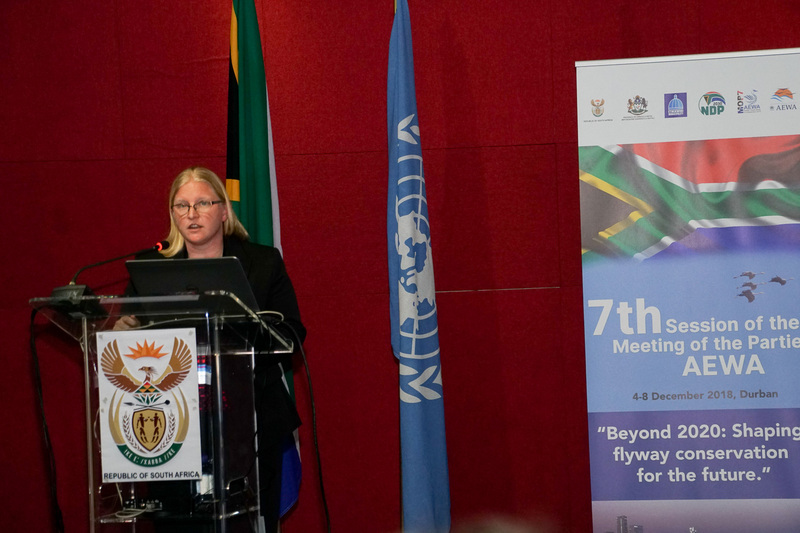 Waterbirds play a crucial role in sustaining healthy wetland ecosystems, and consequently in sustaining the livelihoods of people along the flyway." 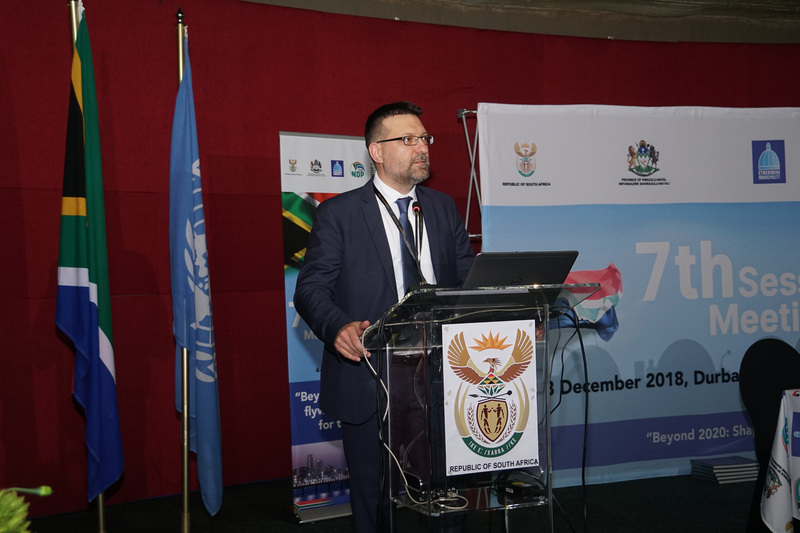 In his opening address, Jacques Trouvilliez, AEWA Executive Secretary, recalled the deep respect for nature shown by Nelson Mandela, and the challenge of Mahatma Gandhi for each individual to act as agents for positive change in the world. 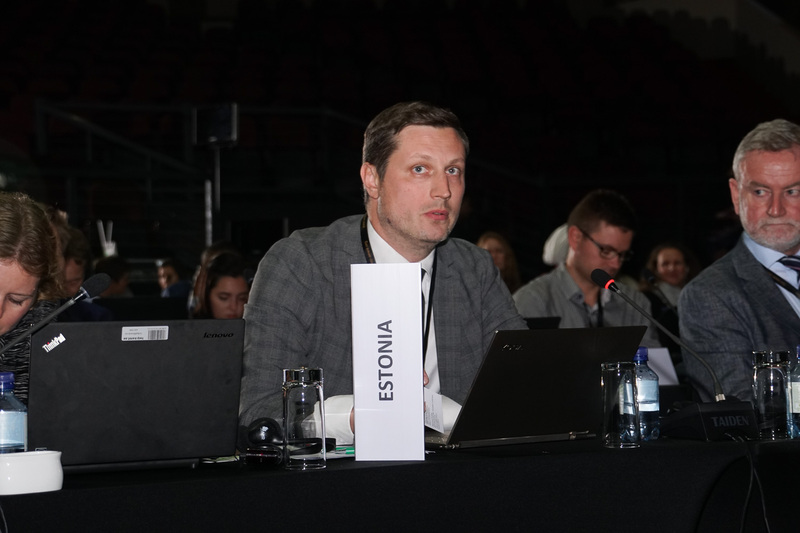 He stated that AEWA is clearly an example of “international cooperation which works thanks to the commitment of member parties” and that the latest Conservation Status Report (CSR) is showing that the work being carried in the framework of AEWA is clearly having a positive, measurable effect on some AEWA species. 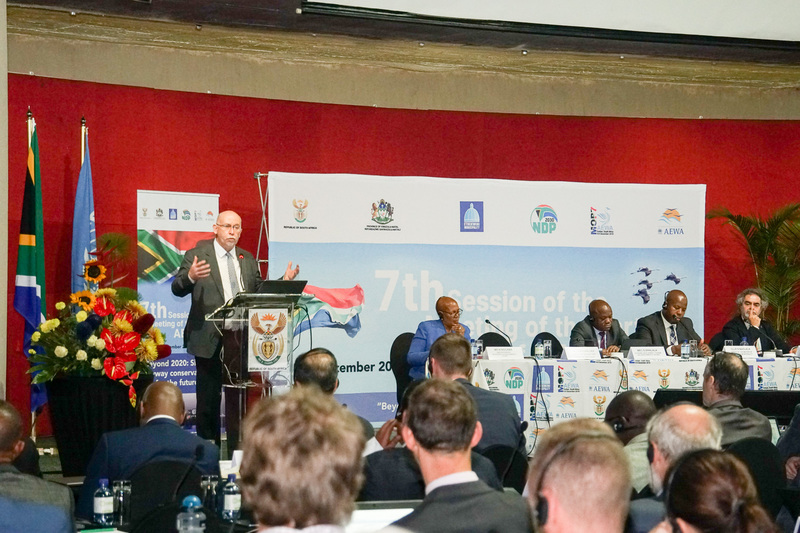 However, he also stressed that MOP7 represented a crucial stage in the development of the Agreement, which would determine what could be achieved in the following ten years, highlighting the need of countries to increase financial support to allow the Secretariat to continue doing its work, highlighting that it is “an indispensable piece to this international mechanism which allows this flyway-scale conservation work”. 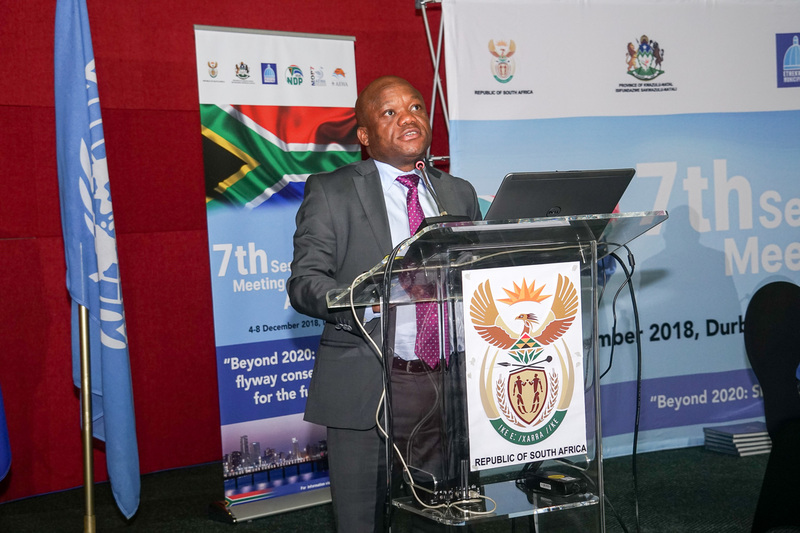 A keynote address was given by the Member of the Executive Council (MEC), Department of Economic Development, Tourism and Environmental Affairs, KwaZulu-Natal, Mr Sihle Zikalala, who drew attention to the importance of migratory species as indicators of global climate change and habitat degradation, and emphasized the commitment to nature conservation in South Africa through broad partnerships. 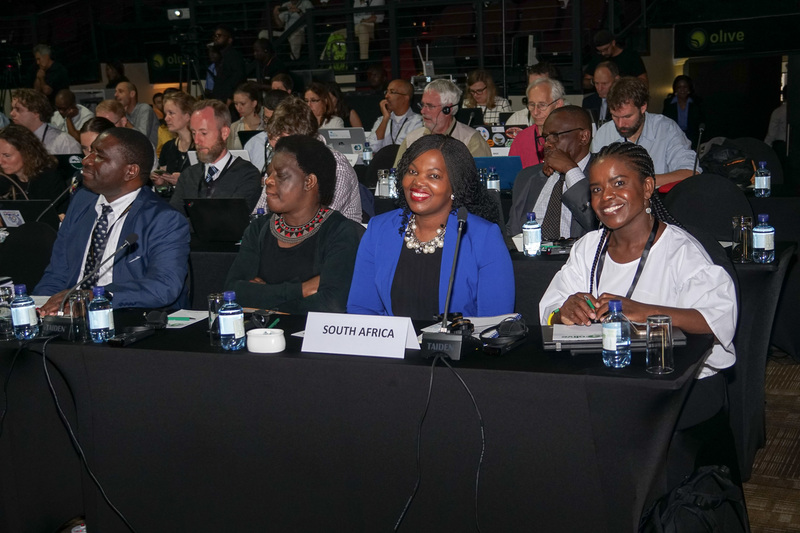 He hoped for fruitful deliberations and strong outcomes for the meeting. 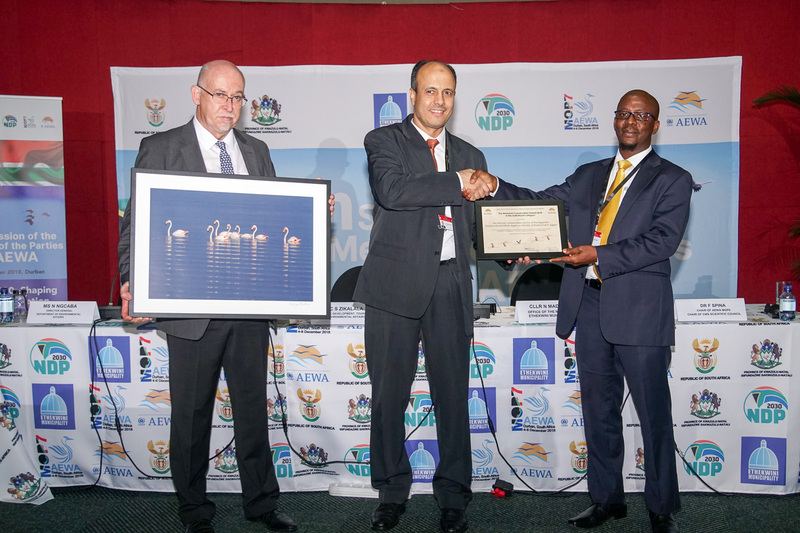 Following the opening statements, the 2018 Waterbird Conservation AEWA Awards were presented by Barirega Akankwasah Chair of the AEWA Standing Committee to the following recipients: The Egyptian Environmental Affairs Agency, represented by Mr. Ayman Ahmed received the award in the institutional category, for carrying out a comprehensive waterbird census covering most of the wetlands in Egypt as well as a long-term socio-economic study to investigate all factors driving bird hunting activities along the Mediterranean coast. 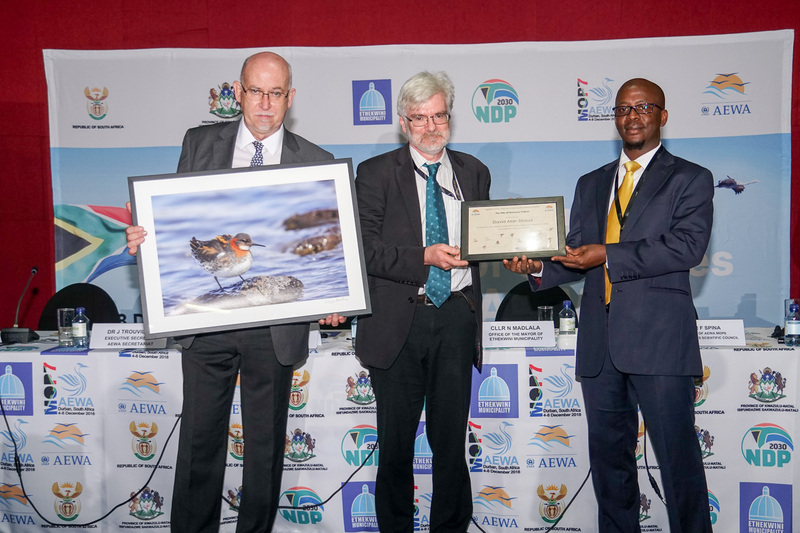 The AEWA award in the individual category was presented to Ohad Hatzofe (Israel), for his work in resolving conflicts around human-waterbird interactions and his long dedication to waterbird conservation, education and awareness raising in Israel. 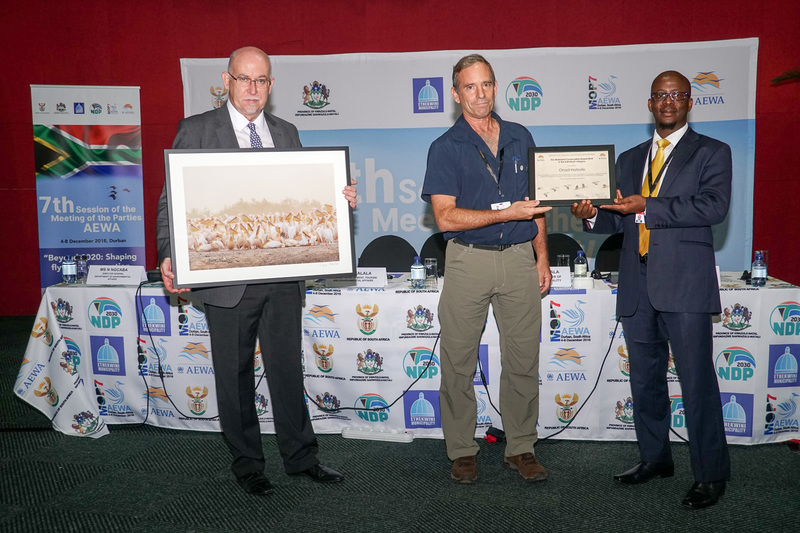 At the closure of the opening ceremony, David Alan Stroud (United Kingdom), was declared Honorary Patron of AEWA, for the life-long dedication to international waterbird and wetlands conservation and for his significant contribution towards the development, growth and strong scientific underpinning of the Agreement. 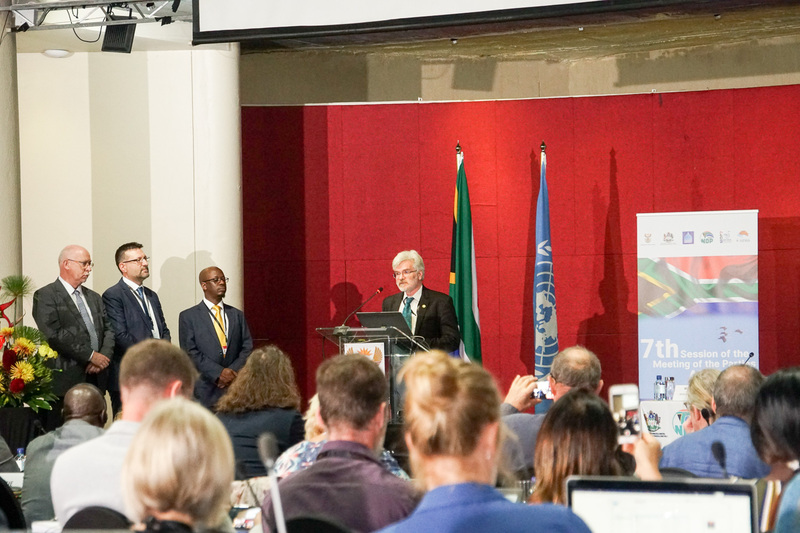 Upon receiving the title, he made a reference to the first and only other existing Honorary Patron of AEWA, Gerard Boere (the Netherlands) saying that “Nothing could give me greater personal pleasure than to have this formal association with Gerard Boere, the Patron of, Father to, the Agreement, whose energy did so much to bring AEWA into existence.” Subsequently, delegates addressed organizational matters. 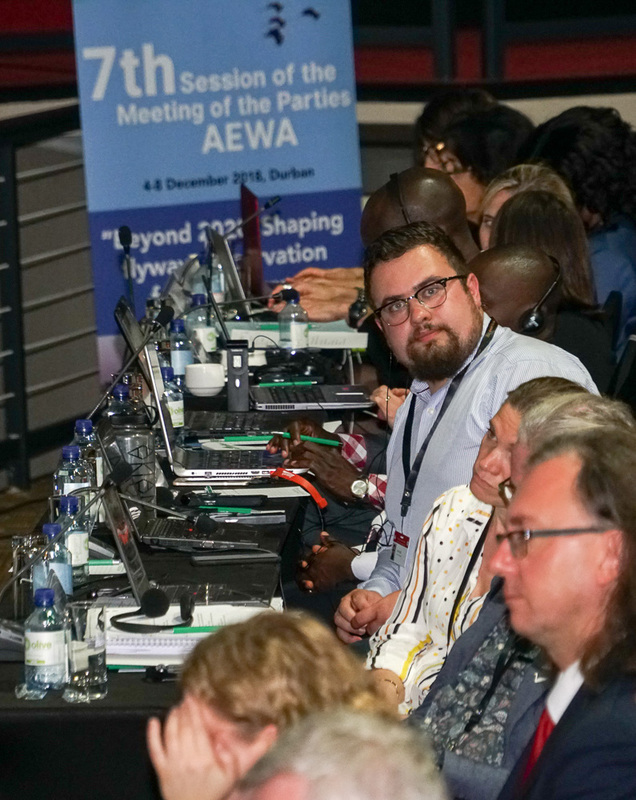 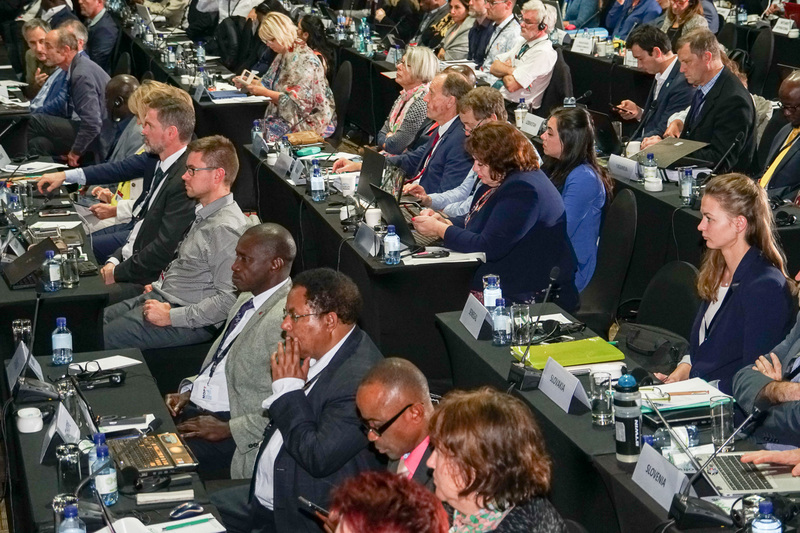 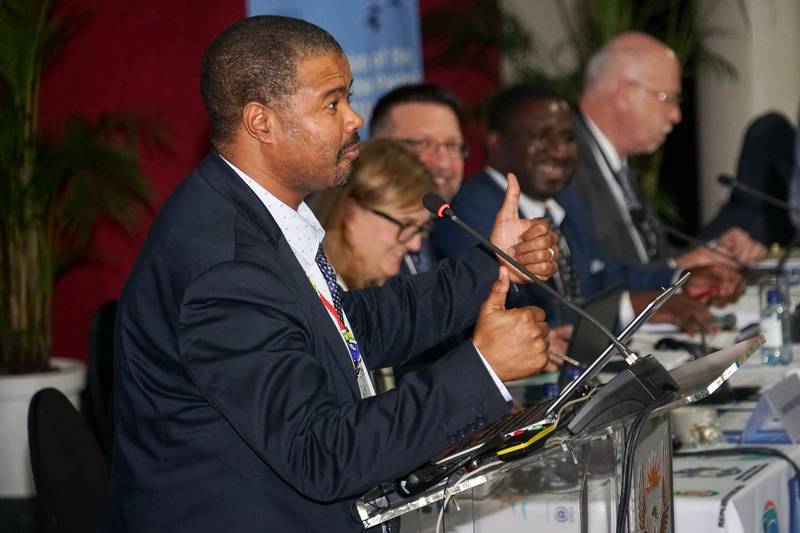 In the afternoon, delegates heard reports from AEWA bodies: the Standing Committee, Technical Committee and the Secretariat, the Depositary and UNEP, and reports on the implementation of the AEWA Strategic Plan 2009-2018 and the African Initiative and Plan of Action for Africa 2012 -2018. 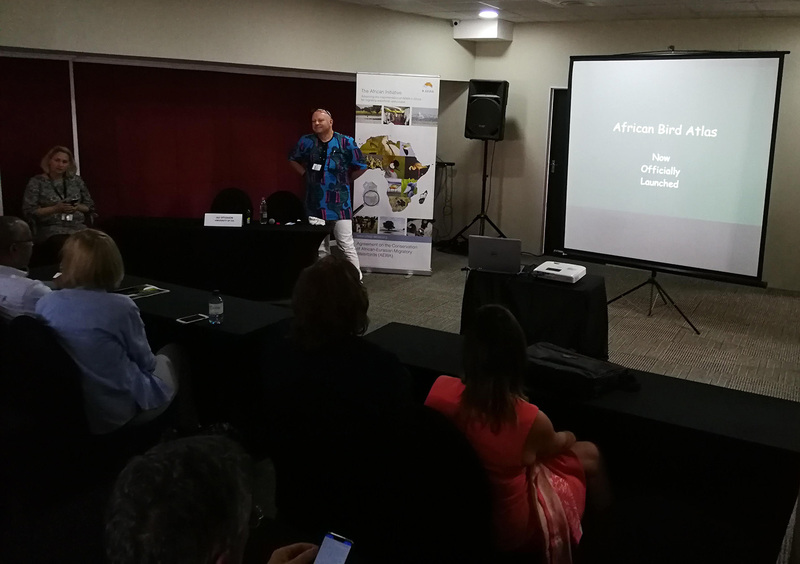 During this agenda item Jacques Trouvilliez, Executive Secretary of AEWA recalled the signature in 2006 of a Memorandum of Understanding between AEWA and three regional training institutions in Africa to enhance awareness of waterbird conservation. 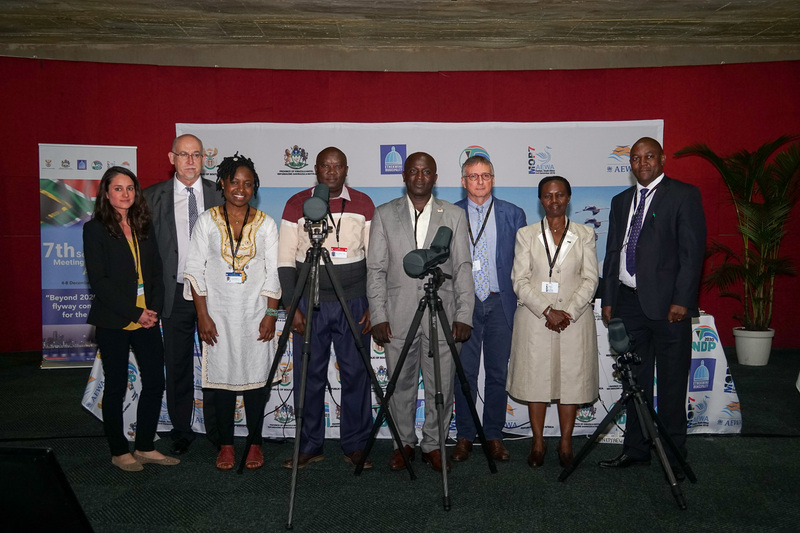 Following the screening of a short video showcasing the corresponding work of these institutions, telescopes were presented to the representatives of each of the training institutions by the representative of France, François Lamarque. 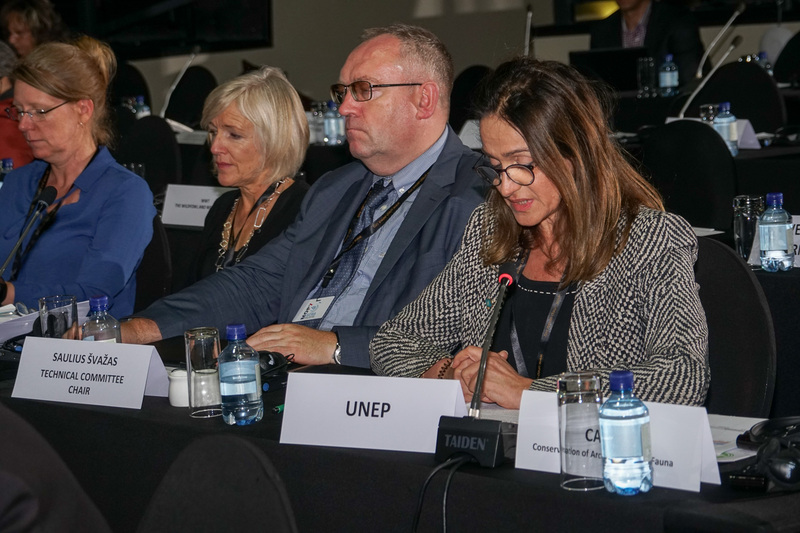 Kelly Malsh, Head of Species Conservation at UNEP-WCMC presented the Analysis and Synthesis of National Reports for the period 2015 - 2017. 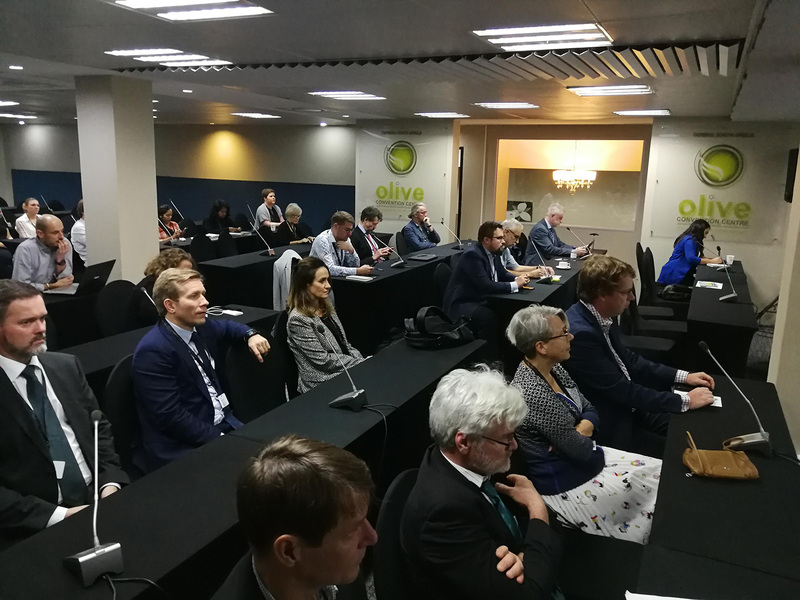 Delegates then heard presentations from the Secretariat on the Implementation of the Communication Strategy, International Reviews and the Implementation Review Process. 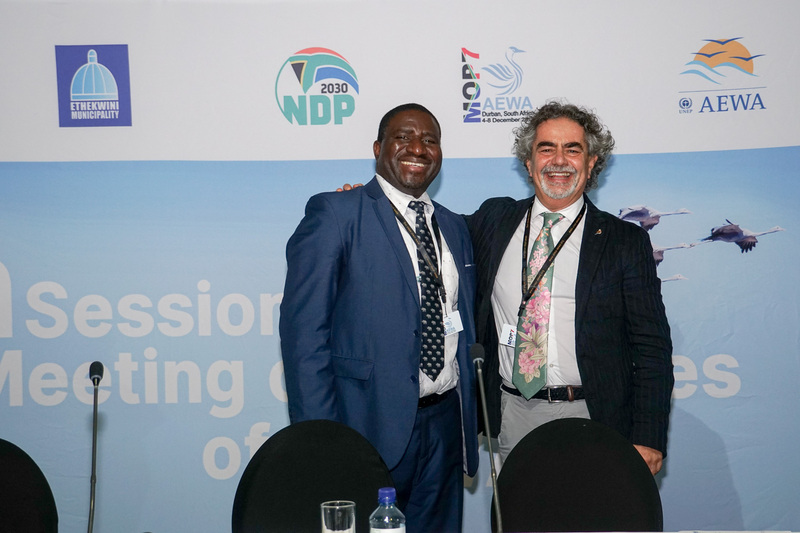 At the end of the first day, delegates attended a reception offered by the Municipality of Ethekwini at the uShaka marine Centre, where they were warmly welcomed by Councillor M. Madlala on behalf of the Mayor, Councillor Z. Gumede and enjoyed a wonderful evening of South African hospitality.